Before hiring an agent, be sure to ask them, “How will you find buyers for my home?” Although the real estate industry has changed a lot even in the past few years, I find many agents conducting business like they did in the 90s. That’s a disservice to consumers, because business has changed as well. Studies reveal what to look for in a buyer. There are so many statistics out there you should be thinking about as a buyer. Here are a few. First off, selling your home has a lot to do with marketing. In fact, 50% of buyers will base their decision off what’s online. Your agent needs to be heavily invested in online marketing. 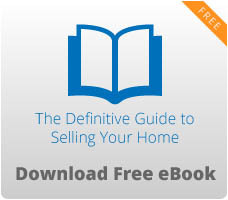 Additionally, 23% of buyers will find their agent by the for sale sign. That makes it crucial for your agent to have many homes for sale, not just a few. The second part of selling and finding an agent is the relationship. Oftentimes, buyers learn about agents through a friend; they’re being referred. We have hundreds of recent online referrals. On average, 20% of buyers will find their agent on a past client referral. We have more than 10,000 past clients in the Triangle area. Also, 14% of buyers will find an agent based off another agent’s (from a different city) referral. Also, 24% of buyers find their agent from an open house. Interestingly enough, I know agents in this market saying they won’t even consider an open house. We think differently. We organize open houses over the weekends that attract at least 20 people at a time. I hope this information serves you well. If you have any questions about buying or selling in the surrounding area, reach me by phone or email! I’d be happy to help you.